Fellow author Luke Murphy and I agree wholeheartedly on this sentiment – character development is everything to the ultimate success of a novel. And we are talking not only the evolution and structure of a character, but also in his or her believability. A gripping plot is a big bonus, but your game players truly need to steal the stage. Do you really want to read about a “superhero” that’s got it all going on? Are you that willing to suspend your disbelief? Or would you rather read about a person who struggles with life, has demons and weaknesses, and yet still perseveres and throws down when stuff hits the fan…hard? Luke and I both admit to admiring author Harlan Coben’s style of character development. Although I write contemporary and historical romantic suspense, Coben still lingers in my mind as I bring characters to life. And Luke takes it a whole step further when he asks the simple question: so does a protagonist always have to be good? 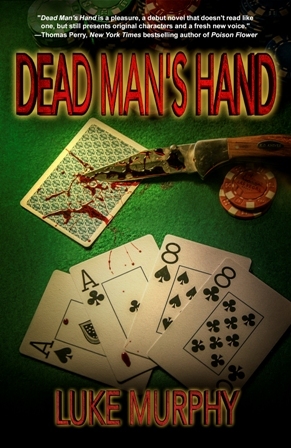 “Dead Man’s Hands is a crime-thriller set in the seedy underbelly of Las Vegas. It takes readers inside the head of Calvin Watters, a sadistic African-American Las Vegas debt-collector framed by a murderer who, like the Vegas Police, finds him to be the perfect fall-guy. Many people have asked if I can make any real connections to the main character in my novel. The answer, as for my connections… well no, I have never been involved in a homicide investigation, LOL. The plot is completely fictional. Although I am not a 6’5”, 220 pound African-American, I’ve used much of my athletic background when creating my protagonist Calvin Watters. Watters past as an athlete, and his emotional rollercoaster brought on by injuries were drawn from my experiences. His mother died of cancer when he was young, as mine did. There are certainly elements of myself in Calvin, but overall, this is a work of fiction. I did not base the characters or plot on any real people or events. Any familiarities are strictly coincidence. As far as characterization goes, Dead Man’s Hand’s protagonist Calvin Watters faces racial prejudice with a calmness similar to that of Walter Mosley’s character Easy Rawlins. 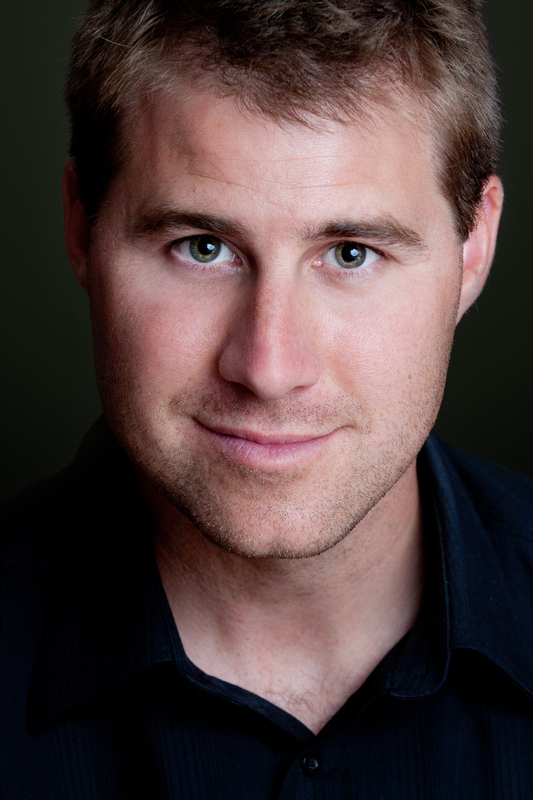 But Watters’ past as an athlete and enforcer will remind other readers of (Jack) Reacher of the Lee Childs series. The Stuart Woods novel Choke, about a tennis player who, like Watters, suffered greatly from a dramatic loss that was a failure of his psyche, is also an inspiration for Dead Man’s Hand. When thinking about creating the main character for my story, I wanted someone “REAL”. Someone readers could relate to. Although it is a work of fiction, my goal was to create a character with whom readers could make a real connection with. He’s proud, confident bordering on cocky, mean and tough, but I also have given him a softer side that readers, especially women, will be more comfortable rooting for. After his humiliating downfall, Calvin is stuck at the bottom for a while, but is trying hard to work his way back up. He has weaknesses and he has made poor choices in his life. He has regrets, but Calvin Watters has the opportunity to redeem himself. Not everyone gets a second chance in life, and he comes to realize just how fortunate he is. Calvin Watters is a man definitely worth rooting for. Consider this: I truly believe that the major character conflict in my story is Calvin vs. himself. Watters was on his way to NFL stardom when a sudden, selfish decision destroyed any dream he ever had. He remembered when the rich had welcomed him into their group as a promising, clean-cut athlete bound for glory. Now, he was just an outsider looking in. Just another thug. Pain bolted through his right knee, but the emotional pain from a shattered ego hurt far deeper. He was the only one to blame for USC’s humiliating loss and his own humiliating personal downfall. Looking at Calvin now, no one would believe that he was once a thousand-yard rusher in the NCAA, and welcomed with open arms in every established club in Southern California. Hell, he had even been bigger than the mayor. That the resulting injury had ended his college football career and most importantly, any chances of a pro career. By making the wrong, selfish, prideful decision, Calvin had made himself a target for the press and all USC fans. The devastating, career-ending knee injury wasn’t the quarterback’s fault for missing the audible, or the fullback’s fault for missing the key block. It was his fault entirely, and it had taken him some time to understand and accept responsibility for it. ~ And please feel free to take a look at excerpts from my new release Waiting for Eden, or purchase my first novel, Savage Forest @ Amazon and Smashwords. Join Jessica Leigh on Facebook! This entry was posted in Fiction, Novels and tagged author, books, character, creativity, ebooks, fiction, new release, novels, romance, suspense, writing. Bookmark the permalink.